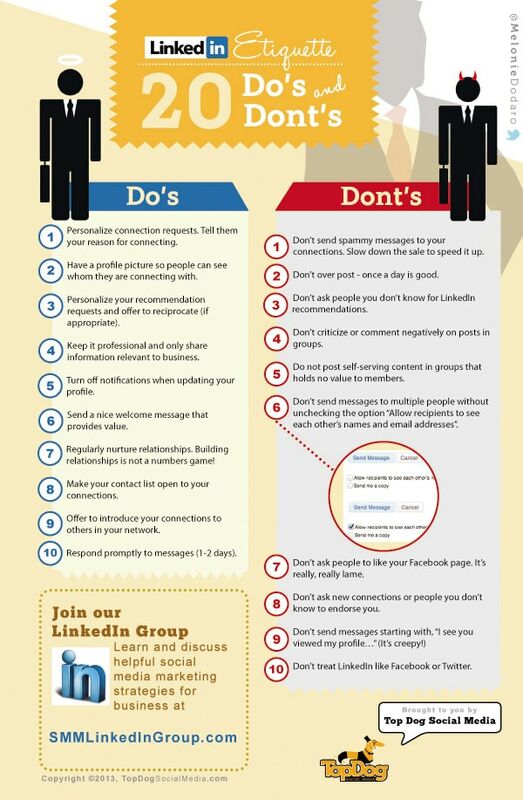 This infographic by topdogsocialmedia.com gives you twenty dos and don’ts! Profile Picture: Make sure you’ve got a profile picture, but a good, professional one! Updates: Keep updates professional – do not talk about anything that isn’t relevant to LinkedIn! Endorsements: Don’t ask new people or people you don’t know for Endorsements – it won’t give off a good image!